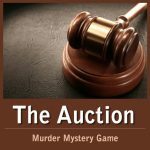 A murder mystery set in a theatre for 7 to 20 guests. When the curtain comes down, the investigations begin. It seems that Vincent’s death is not by natural causes. 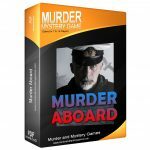 Scotland Yard believe it is murder! More than just a boxed version of a murder game, “The Final Curtain” provides you with all the printable material needed to run a fun, participative event. 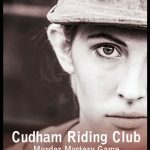 Every guest has their own character to play and various objectives to pursue (including solving the murder!). They may also have “money” and/or other paper props to use, to help them achieve their objectives. The game is highly memorable and has been greatly enjoyed by all kinds of people. 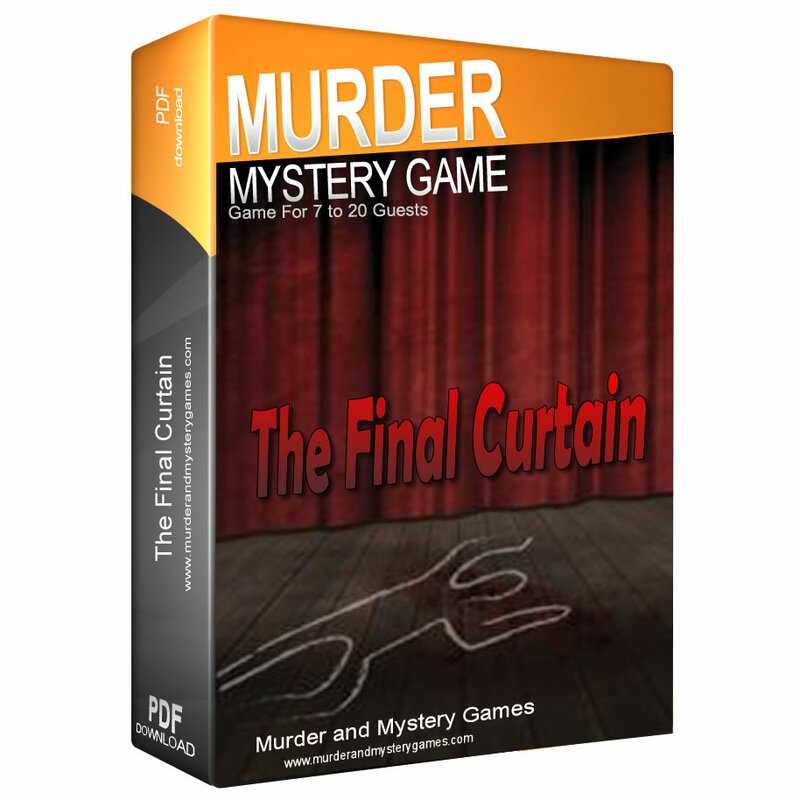 “The Final Curtain” is a 1920s murder mystery and usually lasts around three hours. It takes you into a world where artistic temperaments and theatrical secrets go hand in hand with cigarette holders and feather boas. 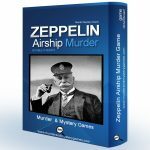 From $51.00 | Buy Game Now.